A project which is developed to control the process in the industry and to check the status of the each process the proposed project i.e. 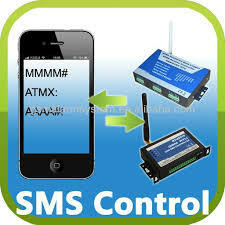 SMS Controlled Industrial Controller is developed. Here we implemented this project using the LAB VIEW. Using this project we can monitor any number of process parameters in the industry. In the existing system it is very difficult for the user to monitor all the process in the industry because he has to be present all the time and maintain system manually. If user is not present, entire system will get damaged. To solve all these drawbacks and disadvantages of existing system proposed, new system is developed. The hardware requirements of the process are fulfilled by the hardware unit of this system. Most of peoples believe that, in situations like during power failure in modern computers, at room temperature and even when DRAM is removed from its motherboard, DRAMs will retain their contents for few seconds. But DRAMs are not so reliable because hackers can retrieve usable full-system memory images and important contents of DRAMs when DRAMs are not immediately erased/when they are not refreshed. Surprisingly, researches made by the Researchers of Princeton University have clearly shown that the contents of RAM in modern computers remain undamaged after the system BIOS or boot code has finished running, and these can be exploited. To explain this, at the beginning we need to switch off the system and then we will try to capture and analyze the memory of DRAMs. We developing a new system that is 3D wavelet transform based on lifting to improve lifting VLSI architecture which uses bi-orthogonal 9 by 7 filter processing. This is the main feature to increase speed and activate higher hardware based utilization, this architecture used efficient pipe lining and parallel design way. Based on time the forms of scale representation, Discrete Wavelet Transform (DWT) architecture provides multi-resolution efficiently. Main aim of the Car Controlled System Operation project is to develop a system which can lock a car by providing the password. This system prevents unauthorized users from using the specific car. In the modern days now, thief is finding new ways to theft the vehicle and it is difficult to keep vehicle safe from theft. To solve this problem and to keep car safely in the public places like car parking in offices, shopping malls, hotels proposed system is developed. The proposed system locks the car engine using digital code locking method. The main purpose of developing the proposed Voice Operated Intelligent Fire Extinguisher Vehicle system is allowing the user to control the fire extinguishing robotic vehicle through a wireless device. The direction of the Robotic vehicle can be controlled by the voice commands of user using the camera mounted on vehicle. The proposed vehicle is having the facility of water jet spray which can spray water when required. Based on user’s voice commands sprinkler can be moved in any direction. The new robot controls and realization of new methods of control theory in the proposed system improves the capabilities of the remote fire extinguisher method. The problems in the existing robot control systems can be solved by the proposed system. The newly improved, intelligent and accurate robots are created by using new drivers, new robots control devices and advanced control algorithms in the proposed system. This system is helpful in controlling the various robotic applications through the voice commands of the user efficiently.